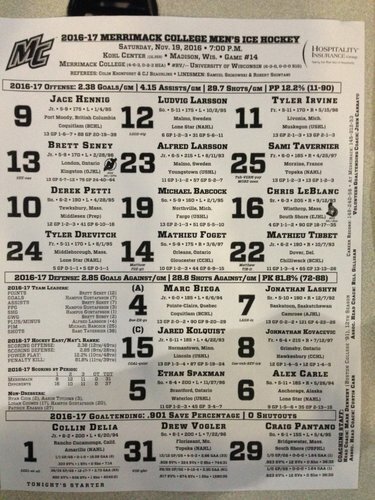 UW will be looking for their first home sweep of the season against Merrimack tonight. Lineup for Round 2 with the Badgers. Hamp out, Luddy takes his spot up top. 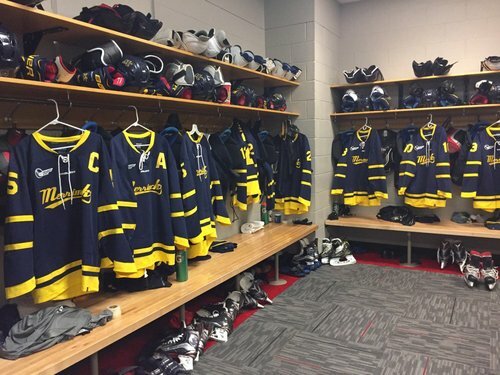 A very nice college hockey venue. Apparently we're on @FoxCollegeSport Atlantic tonight! Like last night, you can watch tonight's game FREE on @BTN2Go with your cable provider account info. No free stream, though. ???? Also... 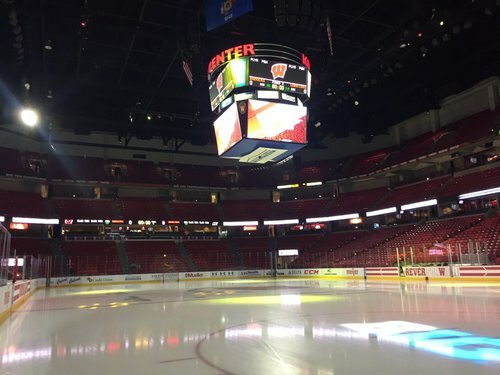 If any of you get Fox Sports Wisconsin Alternate, we're apparently on there tonight, too! Hey @Dish /@DIRECTV - any insight there? 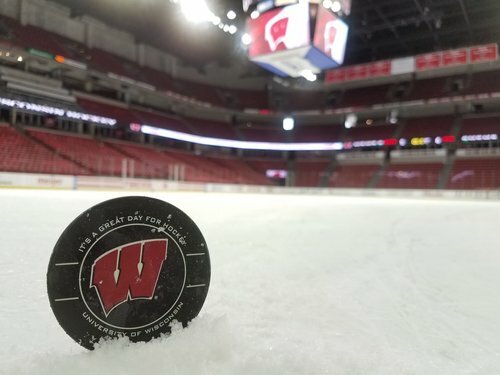 Moments away from puck drop between the Badgers and Warriors. 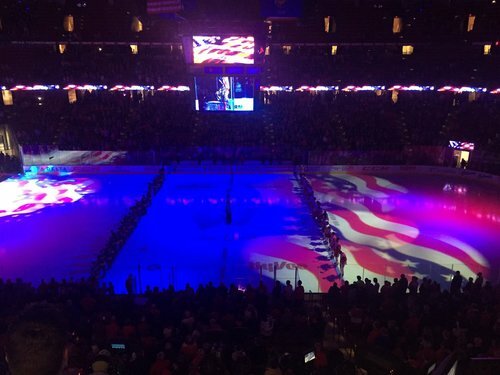 Teams skating around for final warm ups and the national anthem. 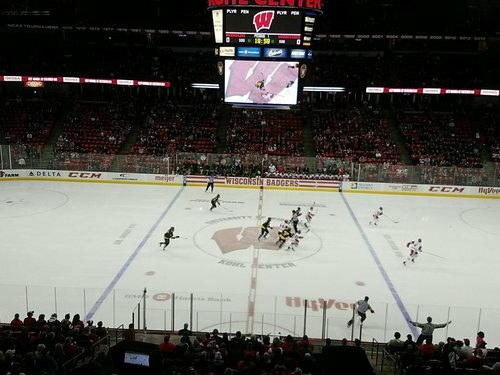 About 5 minutes from faceoff at the Kohl Center. 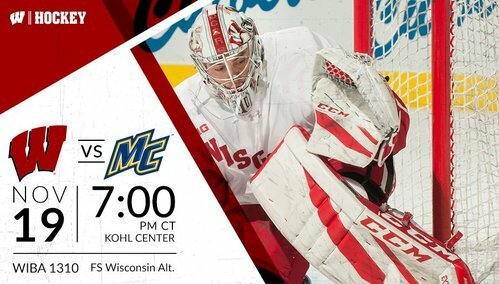 Collin Delia in goal for Merrimack, Matt Jurusik for Wisconsin. Collin Delia returns after a 10-game injury absence and gets the start. 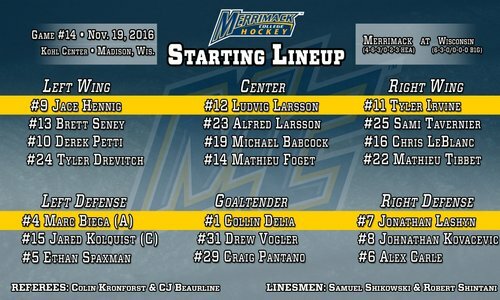 Change in goal tonight for Merrimack. Junior Collin Delia gets his second start of the year. It's time to drop the puck in our weekend finale at Wisconsin. Puck has been dropped! 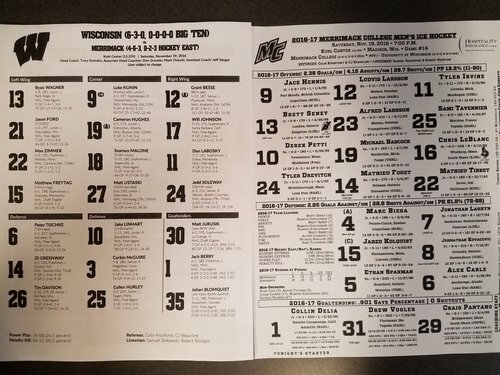 6-3-0 Badgers take on the 4-6-3 Warriors. Both teams still searching for their first shot on goal after three and a half minutes of play. First time through the lines and no shots attempted either way. Soleway, returning to the lineup, blocks the first attempt 3:36 into 1st. Seney lets one go from the slot and Jurusik gets a piece and sends it out of play. Good save by Jurusik has he sticks one into the netting 4:27 into the first. Score remains 0-0. Jurusik faces his first shot, off Larsson's stick, and sticks it over the glass. Media stoppage with 14:44 left in P1. We've got the only shot on net so far. 14:44 left in the first, no score. Merrimack has the only shot on goal and the only two attempts. It took 7:55, but the Badgers have their first shot attempt of the game. Soleway on goal from distance but Delia sticked it away. Jurusik makes a nice sliding save on a Tavernier one-timer from the left side. Warriors with a flurry of chances but Jurusik is up to the task to keep the game scoreless. Halfway through the first now.